Damnit, why is Asheville always so busy? The city, situated in the Blue Ridge Mountains saw 27,000 visitors every day in 2014. This led to $2.6 Billion in total local business sales. I can say first hand those numbers should be far greater for 2016 based on New Belgium and Sierra Nevada’s new facilities. It seems the sky is the limit for beer tourism in Asheville. The morning following his arrival to Knoxville we took to the hills. With Trent working as the designated DJ we started listening to some Ray LaMontagne as we drove around the bends and hills. Throwing on my pack we began to hike the 8-mile route till we reached Charles Bunion. Cracking open a couple Terrapin Rec Ales only made the bunion feel more serene. The following morning we got up early to drive 2 hours to Asheville for our first stop, New Belgium’s Asheville Brewery. This was Trent’s second visit to the brewery since it’s opening and my first. Trent’s background came from working for the MillerCoors distributor in Fort Collins, CO distributing New Belgium, so he gave a more in-depth perspective to the tour we took. New Belgium’s Asheville brewery is nestled next to the French Broad River with decks and floor to ceiling windows over looking the water. 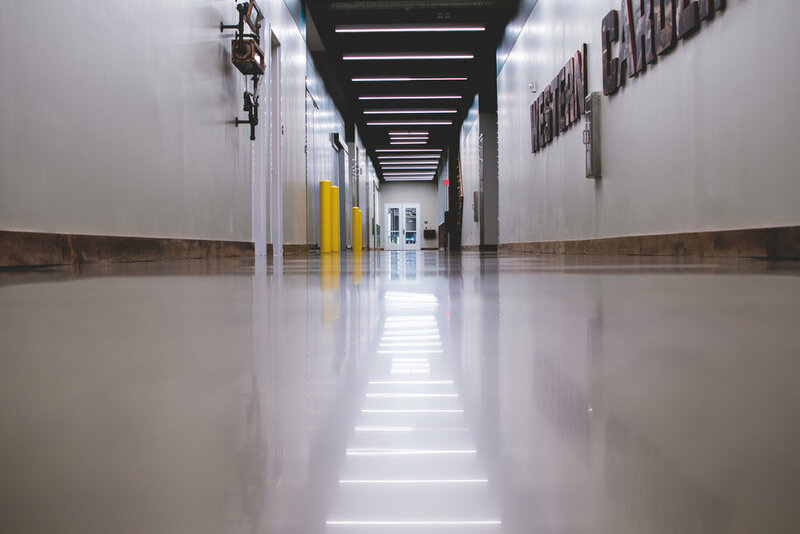 A walk through this tour route showed how important visitors were to the design of the brewery. 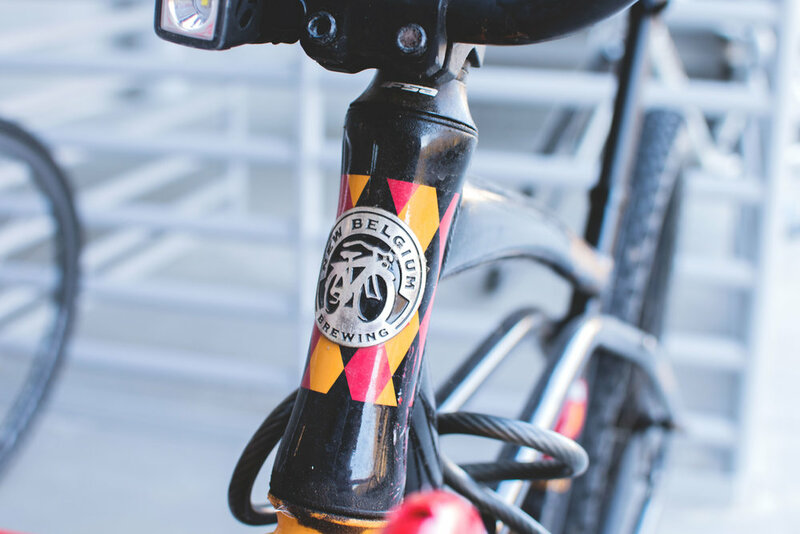 From the draft systems set up for storytelling to the tasting room over looking packaging, New Belgium knew from the outset the importance of tourism in Asheville and their space showed it. Asheville has several sides visitors can experience. There is the famous Biltmore Estate, the hiking in the surrounding mountains, the unique downtown, and the beer scene. They all draw in different walks of life, but the reason for all of my excitement for the trip revolved around the acclaimed Wicked Weed. A month prior I had their beer at GABF and wasn’t disappointed; now I was in the mood for a full glass. There was no tour lined up, just a pit stop on this beer filled day. We first made it to The Funkatorium where thankfully it wasn’t too busy. The racks of barrels inside and the rum barrel aged Dark Arts Espresso were enough to make me want to move to Asheville. The bottle shop and beers on tap were a highlight of the trip. What was the counterpoint to this was the walk to the Wicked Weed Brewpub. We walked up at around 1:30pm and it was packed. The pub had an hour wait with people continuing to line up all afternoon. This space it seemed had become the touch point for most consumers visiting the Land of the Sky. ESB and IPA are the core of a brewery built out of the 90’s. Green Man Brewery though saw rapid change following a 2010 ownership change. Since then, the increase in capital and new facilities has brought about greater distribution. 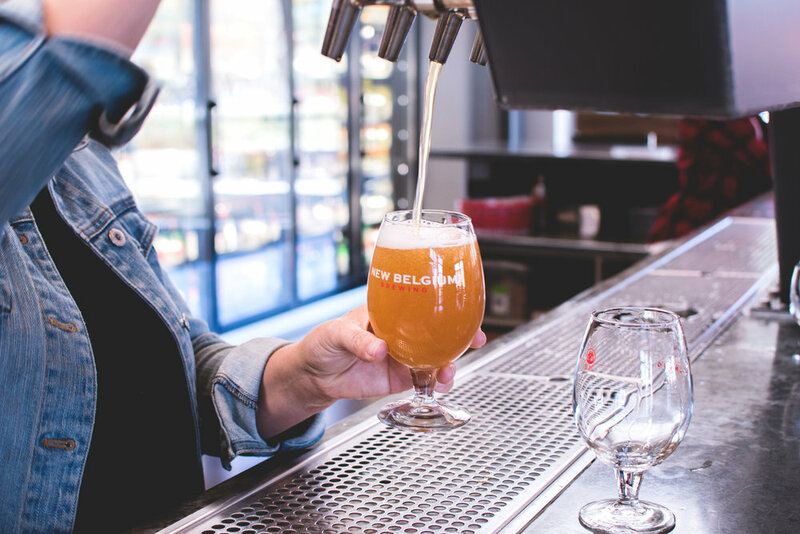 The need for a new facility could have been drawn on by the addition of east coast operations for New Belgium, Oskar Blues, and Sierra Nevada. I didn’t have the opportunity to speak to anyone at the brewery, but it would have been interesting to hear the reasoning behind the new three-story building. There are few breweries that can create a sense of awe from both size and attention to detail. 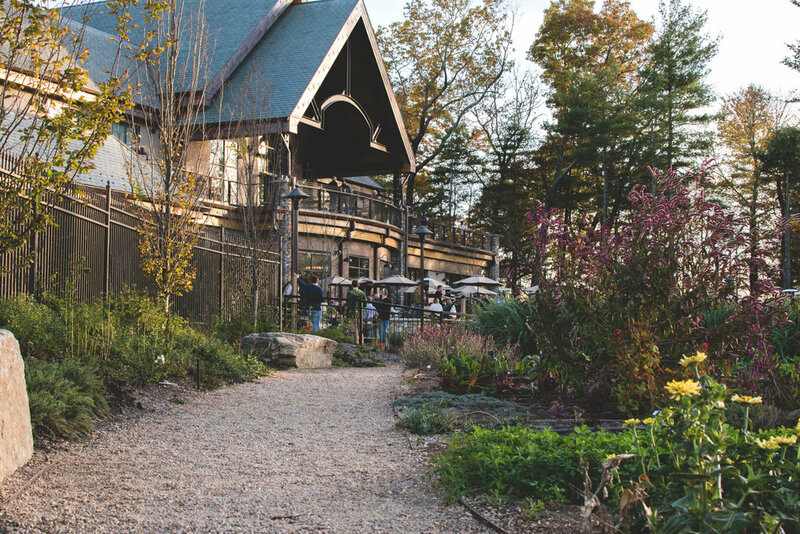 Where New Belgium saw an environmentally friendly modern brewery, Sierra Nevada developed an entire mountain estate. With a Willy Wonka entrance to the brewery grounds it is immediately visible how important the experience was for guests. 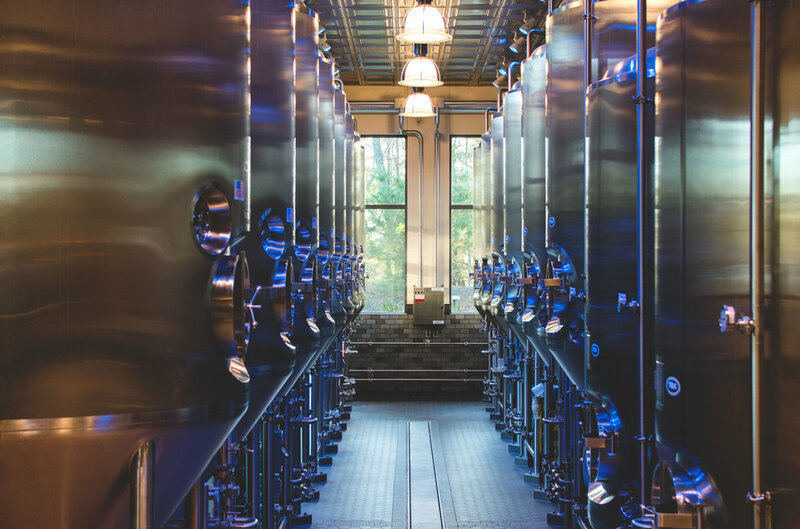 The building itself has vast windows for natural light and rain cisterns along the sides of the brewery. Out back features trails around the estate, gardens, a stage, and plenty of outdoor seating for the a brewery now seeing more visitors than the original brewery in Chico. The house built on the back on a green can boasts a brewpub with more fermentation space and brewing capacity than most startup breweries. It’s no wonder why the brewery is seeing so many visitors. It’s more than just a brewery; it’s an estate, and a work of art. 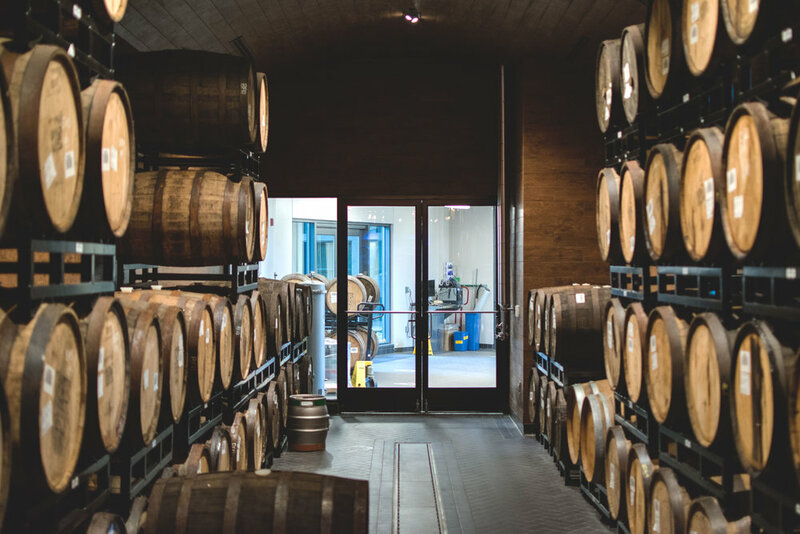 Without even seeing the workings of the brewery itself, it was evident peeping through the windows like a little kid Christmas shopping that standing on the other side would’ve only confirmed my beliefs. When you look at it all together it is one of the most driven stretches of roadway in the nation. The addition of New Belgium, Oskar Blues, and Sierra Nevada, has drawn the local breweries into a building frenzy. 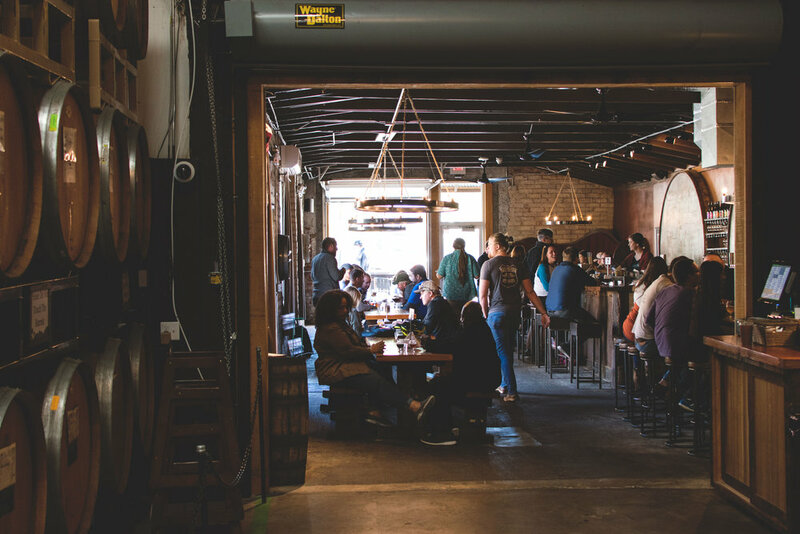 Highland, Wicked Weed, Green Man, and more are all expanding and building new spaces for drinkers to visit. However, with only so much time in the day to stop and enjoy breweries alone, it seems every brewery is fighting for some of the dollars spent in Western North Carolina. 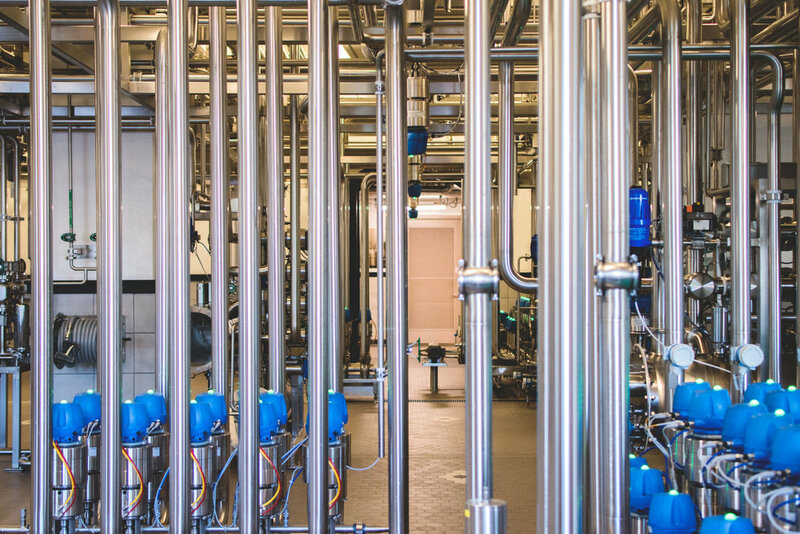 It makes sense to create spaces like these; breweries can control the visitor experience and the freshness of the beer they are serving. At the end of trips like these, it's the experience and beer that everyone’s taking home with them.